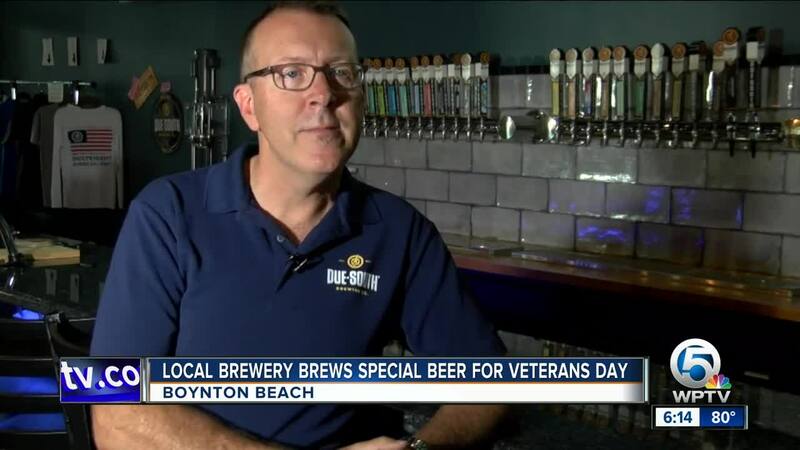 A veteran-owned brewery in Boynton Beach has found a way to honor and support veterans for this upcoming weekend. 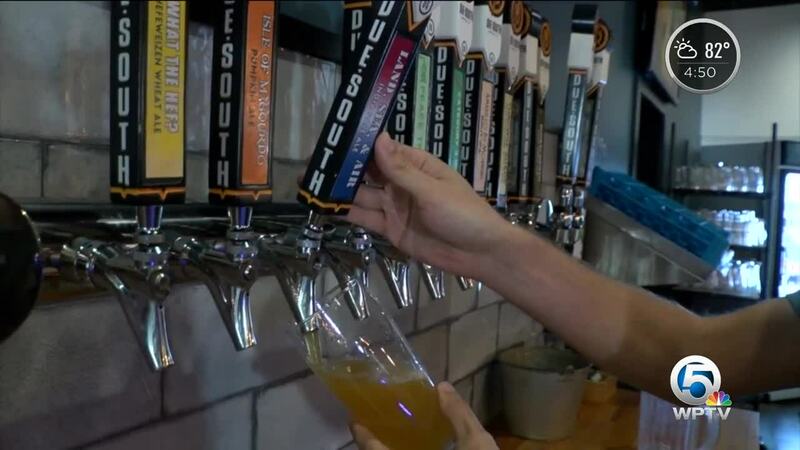 BOYNTON BEACH, Fla. -- Veteran-owned Due South Brewing Co. in Boynton Beach found a way to honor and support veterans for this upcoming weekend. The brewery created a new IPA in honor of Veterans Day weekend. Land, Sea, and Air IPA will be on tap through the weekend and a portion of the beer’s sales will be donated to the Wounded Veterans Relief Fund of Florida. “This year we tried to up this a little bit and give back a little more,” said Owner Mike Halker. Halker said this was the first time they have created a beer just for Veterans Day. Halker is an Army veteran and said he sees the millions of veterans in the US that need help. “The fact that we can make a beer, and actually do good things by doing what we do already anyway, we are pretty jazzed about that,” he said. Army veteran Charles Magee tried the beer on Thursday and said he loves the simple gesture to give back to the veteran community. “We honor everyone that has served in the military and gave their sacrifice,” said Magee. Halker said any purchase of the IPA will go towards charity. He hopes this is the start of an annual tradition. “We are sort of seeing this as a trial run or next year and next year we are really hoping to up the game and make it better,” said Halker. The IPA is available on tap starting Thursday and this weekend is when a portion of proceeds will go towards charity.